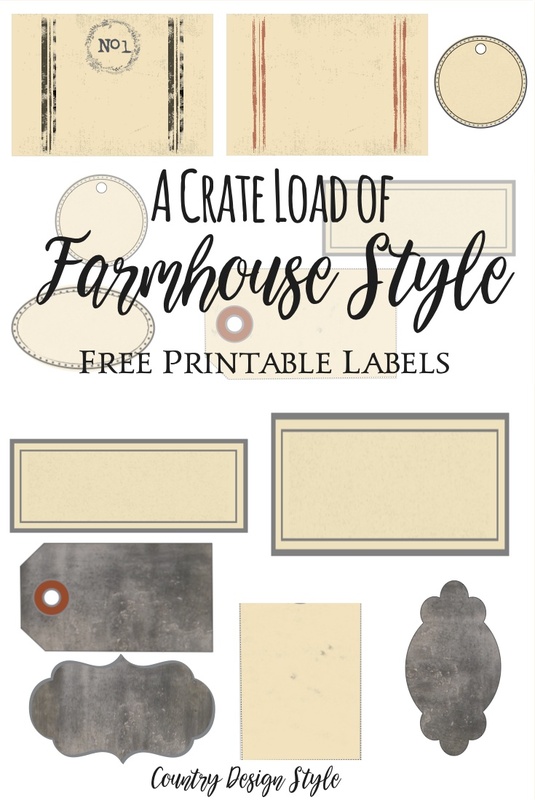 Tired of boring labels? 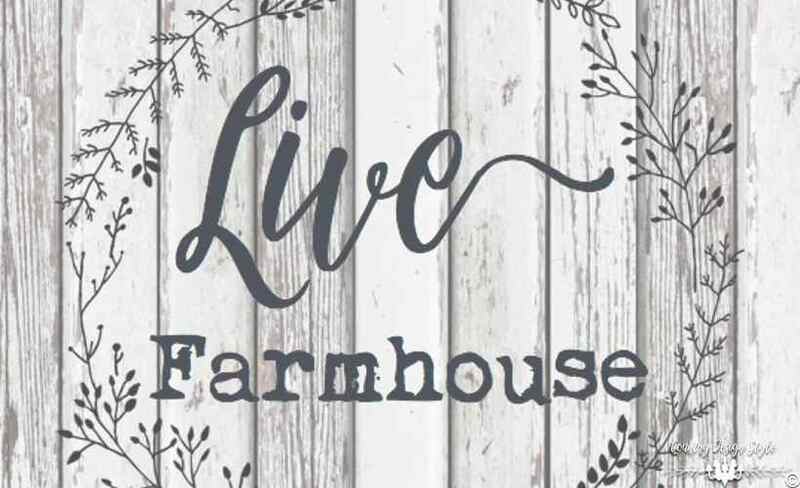 I’ve created a collection of farmhouse style labels to give to readers. You can grab yours below. What happened to “masking” tape? Remember good “o’masking” tape? My grandmother used it to label everything from canning jars to the boxes under her bed. When making my shopping list last week I added masking tape. I haven’t used it in years. Splurging and bought two rolls! 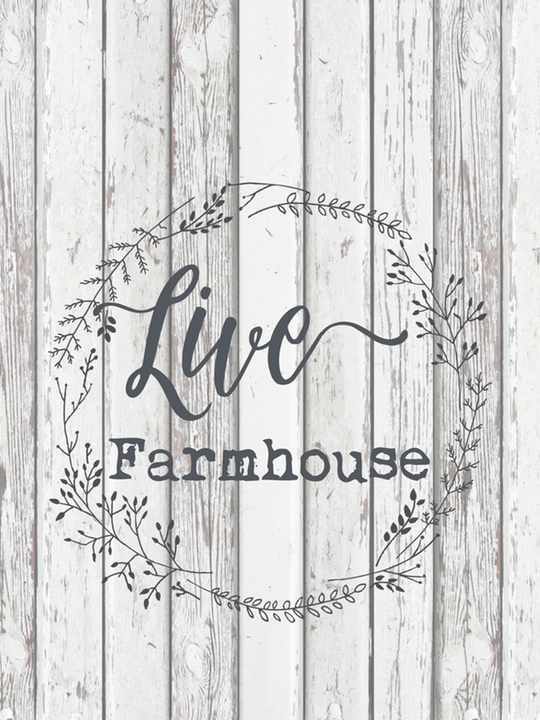 But, I did make some farmhouse style labels to print. I used graphics and fonts from Creative Market to make the labels. 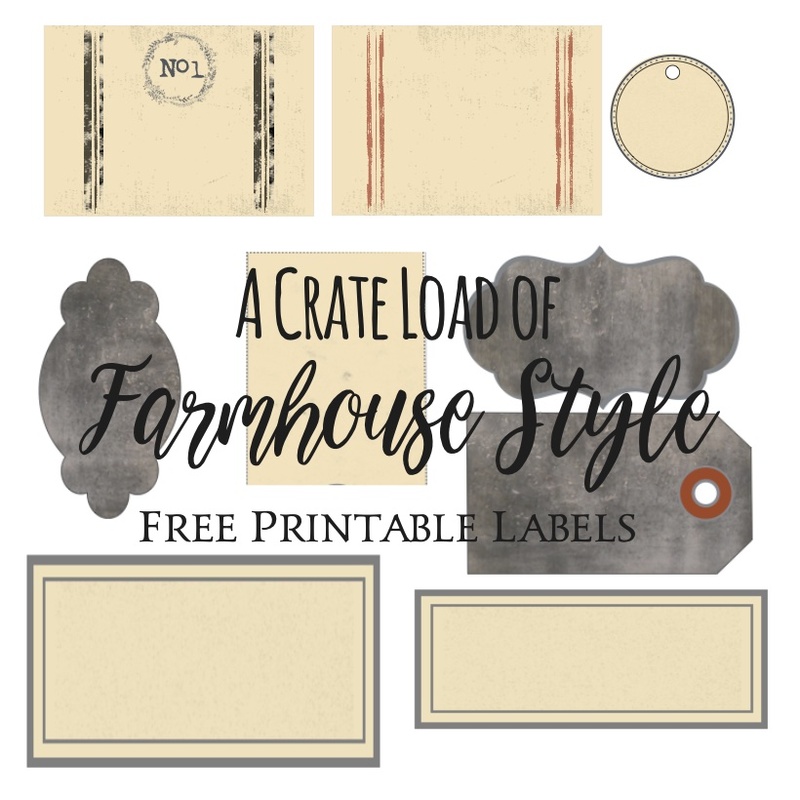 I use Creative Market to help make most of the printables created for you. 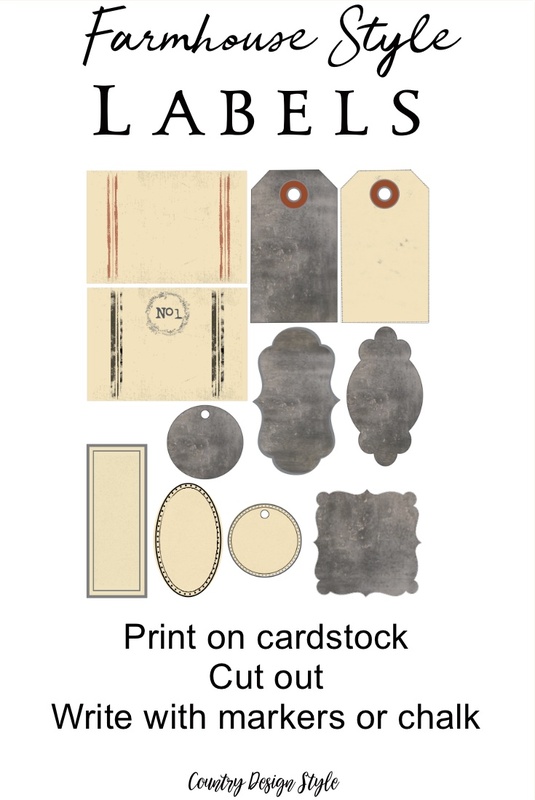 Print the labels on cardstock for durability. This is the cardstock I use from Amazon. You can print as many sheets as you like. 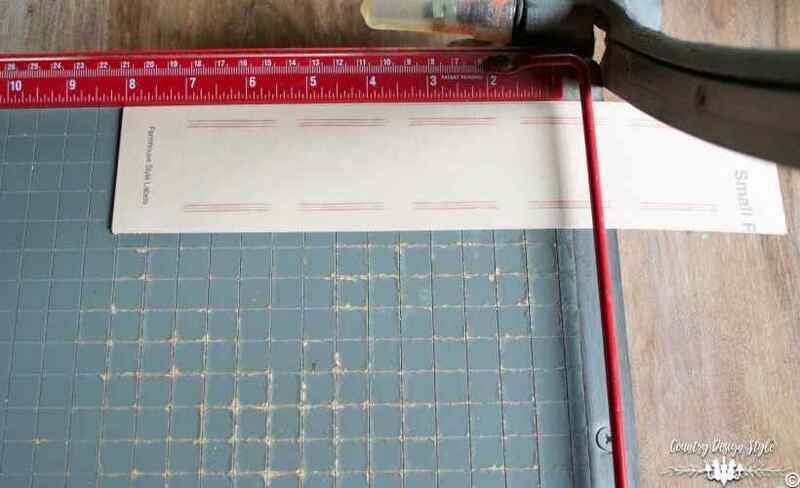 Or used a guillotine type paper cutter. This one I found at a local thrift store. 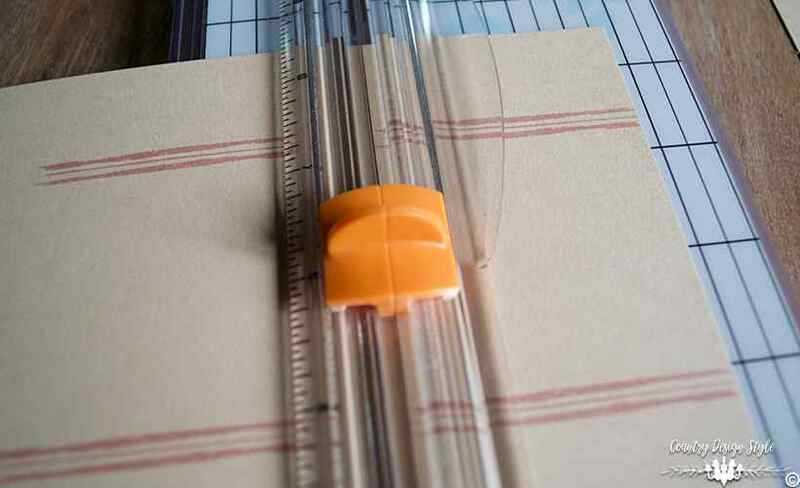 You can browse for guillotine paper cutters on Amazon here. Notice some labels are “chalkboard” They will print normally. Then use a piece of chalk or chalk pen for writing. 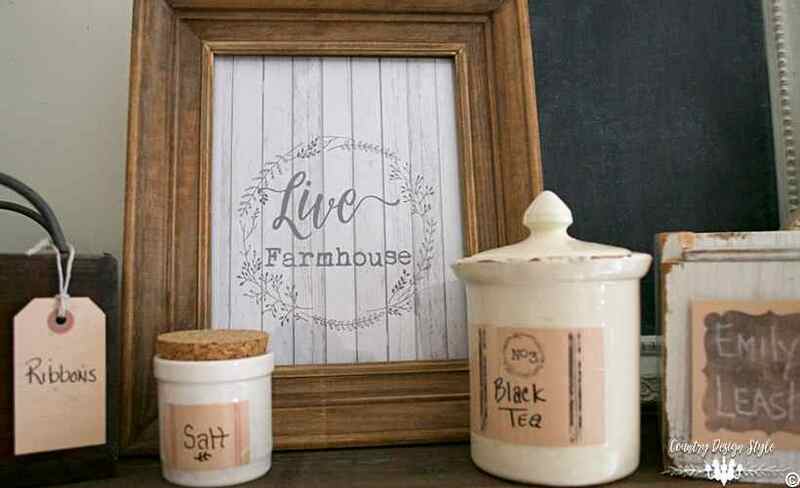 Note: the image used for the chalkboard labels is my mom’s old chalkboard made when she was 7 years old. For the other labels, you can use a regular black marker or your favorite color. The marker I love is a zig double tip calligraphy marker. The markers last a long time and make even my handwriting look pretty. Some of the labels are hanging and use a single hole punch and twine to hang. I used clear shipping tape, not the masking tape??? to apply labels. Or use a white glue or Mod Podge to apply to the surface. Here’s a post with steps to add text to your downloaded labels before printing. Click to read more. I’ve joined your website but am having problems downloading the labels. Any help is much appreciated. Thanks for joining. I sent the link to you and fixed the problem. Hope you enjoy our DIY community. I sent your link to email Yilie! Thank you for following. I’m sorry to say that I cannot download these labels even though I subscribed. Please help? Help!! The labels are just what I was looking for but I cannot seem to get to the Free Download. Just keeps sending me in circles. Any thoughts? Annie, I hope you got your labels now okay. Let me know if you have any more issues. 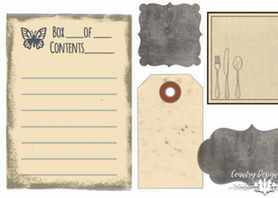 These are wonderful labels, love them! Yes, my tree is down but I haven’t put the decorations away yet, lol! Thank you again! Hi, Cheryl! I’m glad you like the labels. I had a blast making them…and using them is starting to be a huge help! The labels are wonderful…but the links to download (and the one for the Creative Market) are not working. Thoughts? The links are now working. I have the best readers!!! Thanks for your help. I have subscribed but am unable to download your awesome labels.